Welcome to Stourview Cottage. 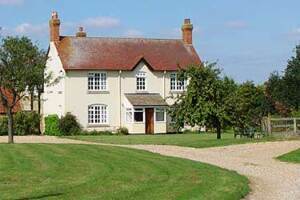 This 300 year old family home was originally built in 1720 and was then known as White Hill House. Stourview Cottage is not visible from the road, White Hill, as it is up its own private driveway. Once at the top there is plenty of turning and parking for guests. 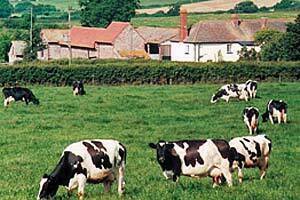 Stourview stands on an elevated & secluded site overlooking Wye, Boughton Alluph and the North Downs. The cottage has many original features including the large inglenook's, one of which sits in The Garden Suite's snug, another is home to the range cooker in the kitchen. Beautiful three guest bedroom B&B in a period property in a rural village location on the edge of the Peak District National Park very close to Chatsworth House, Haddon Hall and Bakewell. We are located in the picturesque village of Rowsley, with a pub and two upmarket restaurants within a five minute walk. We have plenty of off road parking and secure bicycle storage on the property so our family run B&B is the perfect base while exploring the National Park. Dunsandles is a Victorian guest house lovingly restored to its original standard by local interior designer and upholsterer Helen Keating. It offers 7 guest rooms, comprising of 2 family rooms,1 twin room, 1 single and a further 3 Luxury doubles. 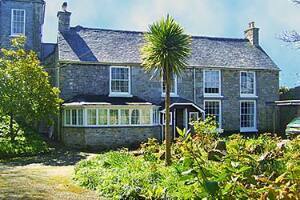 They come with en-suite bathrooms, coffee making facilities, TV/DVD, free WiFi and great sea views. 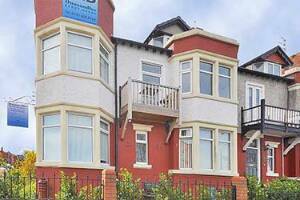 We are 200 meters from the promenade and 5 minutes walk from the fabulous new Floral Pavilion Theatre and conference complex. Also the new Marine Point facility with Cinema, bars, restaurants, bowling and Casino, information of which can be found in all rooms. Local train, bus and ferry services can transport you to Liverpool city centre, Chester and North Wales. 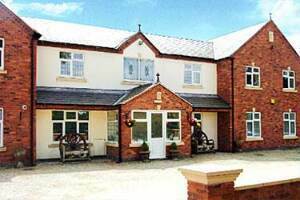 The Guest house is also close to several golf courses. 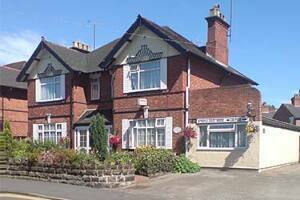 A full English or continental breakfast is provided and the house has a comfortable relaxed atmosphere. We look forward to hearing from you and catering for you and your family's requirements - Find us on Facebook! Set amidst the rolling countryside of East Devon this 16th Century Devon longhouse is close to Exeter, only 5 minutes from M5 J30, CTCRM, Sandy Park and Westpoint. Awarded 4 Stars with the AA and Quality in Tourism for 2008. With a wealth of original features, oak and elm beams and an inglenook fireplace, Rydon Farm provides a peaceful and relaxing atmospere for both business and leisure guests. Highly recommended. 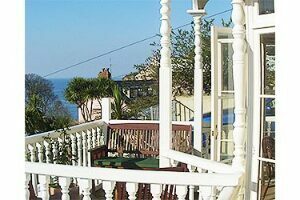 A high quality 4 star Guest House on the edge of Exmoor by the South West Coastal path in the beautiful village Combe Martin. Free WiFi, TV/DVD, Courtesy tray,hair drier in every room. A wide choice of delicious home cooked evening meals and great breakfast options. Licensed bar with a sunny balcony. 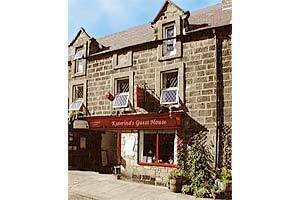 A well equipped, quaint and charming guest house some three hundred years old situated in central Rothbury. Perfect situation for village amenities and pretty river bank. Castles, coast and Northumberland's beautiful National Park are all within easy reach. Wide, interesting choices at breakfasts and licensed evening menus - sample Cath's bread, "whisky porridge", vegetarian nutballs, or Steak Katerina! A Beautiful 17th Century Cotswolds Stone/Victorian Farmhouse Bed And Breakfast, Ideally Situated Just Outside The Wonderfully Picturesque Village Of Broadway And Four Miles From The Old Wool Market Town Of Chipping Campden. Explore The Cotswolds, With Our Beautiful Hills And Countryside And Delightful Cotswold Stone Villages, Or Shakespeare Country Which Is Right On Our Doorstep. We offer both Bed and Breakfast Accommodation and Residential Riding Holidays in a tranquil, stress free atmosphere all year round. 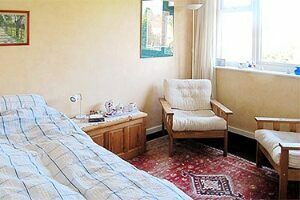 Bright and clean room with comfortable single bed in artist's house. Share bathroom. 5 minutes from bus stop and shops, 7 minutes from train station. Pretty village location. 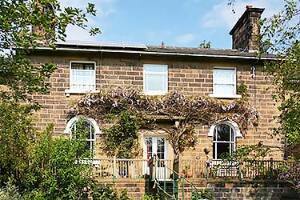 Comfortable double bedroom with ensuite available in our characterful 18th-century cottage. A continental breakfast is included and a traditional English cooked breakfast is available for an extra 5 pounds per person. Exclusive use of a cosy sitting room with lovely views, and TV. 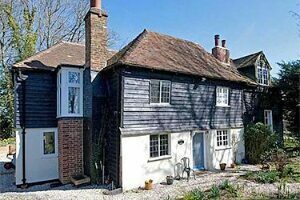 Pheasant Cottage is within 5 miles of Canterbury. Convenient for Dover and the channel tunnel.